Product prices and availability are accurate as of 2019-03-13 08:31:30 EDT and are subject to change. Any price and availability information displayed on http://www.amazon.com/ at the time of purchase will apply to the purchase of this product. 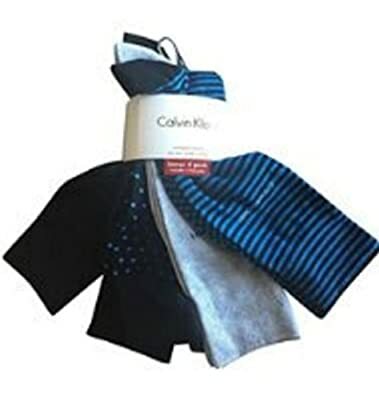 4 PAIR BONUS Pack of Quality Designer Name Casual Comfort Dress Socks Size: 7-12 Colors: Royal & Navy Blue Striped/Light Denim/Navy with Royal Polka Dots/Solid Navy Material: 61% Combed Cotton/28% Polyester/9% Nylon/2% Spandex Great Gift Idea!